Oakland receiver Michael Crabtree and Denver cornerback Aqib Talib had their two-game suspensions reduced to one game after appeal hearings on Tuesday, the Associated Press reports. Derrick Brooks heard Crabtree’s case and James Thrash heard Talib’s appeal, and both decided to reduce the two-game bans issued Monday by NFL Vice President of Football Operations Jon Runyan. 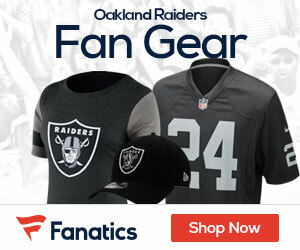 The fight during Oakland’s 21-14 win on Sunday was a continuation of a dispute that started last season when Talib ripped Crabtree’s chain off during the season finale. Crabtree missed the first game between the teams this year but didn’t wait long to seek revenge. 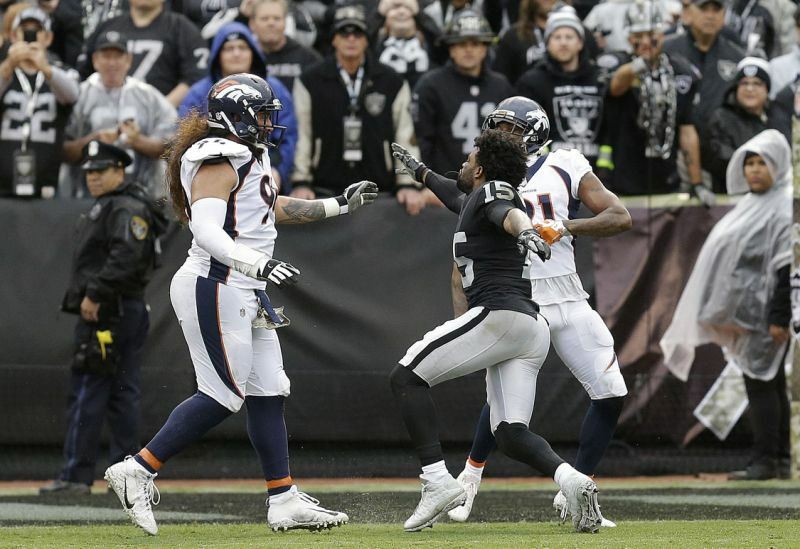 Crabtree punched Denver cornerback Chris Harris Jr. while blocking him on the first play of Oakland’s second drive. He then aggressively blocked Talib on a running play and drove him to the ground on the Broncos’ sideline on the following play, starting the brawl. Talib once again ripped Crabtree’s chain off his neck. He also took Crabtree’s helmet off and threw it, as well as exchanging punches with Crabtree.